If you were watching The Late Show With David Letterman last Friday, you caught Dave’s longtime writer Steve Young discussing a strange new book. 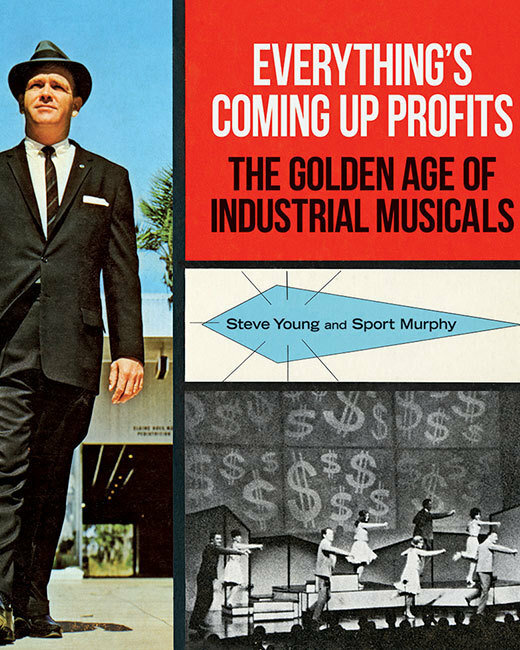 Young and co-writer Sport Murphy — who’s actually best known for the string of albums he released as a singer/songwriter on the Kill Rock Stars label — have created Everything’s Coming Up Profits, a fascinating guide to the bizarre, bygone world of industrial musicals, declared “wildly entertaining” by Letterman himself. Of course, a project like this requires a multimedia approach, so Murphy and Young’s website, www.industrialmusicals.com, will offer plenty of the music lovingly described in Everything’s Coming Up Profits. “We’ll regularly add streaming files of numbers discussed in the book, video clips, and other novelties,” confirms Murphy.